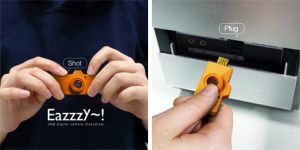 This concept mini digital camera tries to take photography back a few years, but bring it to now at the same time. 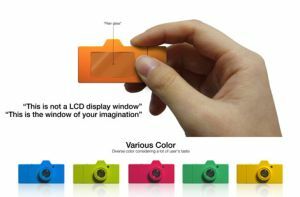 It is a small USB flash drive with a camera built in and it just has 1 button. 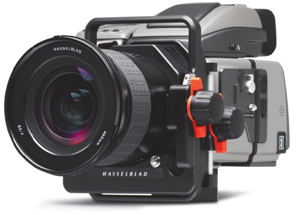 There is no LCD on the back and there is no view finder. The whole purpose of the camera is to just have you point, shoot and then have to wait till you are back at your PC to see the results which is just like the waiting time to get pictures developed. It’s not the best idea I have come across, but I can see it as doing quite well should it become available. If the cameras are cheap enough (< $10) then they would make ideal little cameras to take around while out and about so you can snap away, but not worry about it getting damaged. Many people will still have old 35mm slides and film negatives which will either deteriorate over time or end up being damaged or lost. 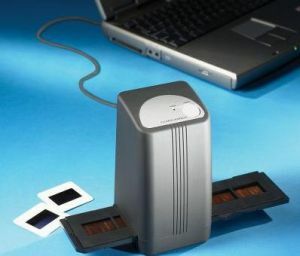 This Digital Picture Converter allows you to easily convert those slides and negatives in to digital images on the computer. The box aligns each negative correctly and a touch of a button quickly scans the image to the PC. The resolution is 5 mega pixels with 10 bits per colour channel. The focus is fixed as well as the colour balance. For $99.95 you could be getting a great deal if you have a lot of pictures to convert. 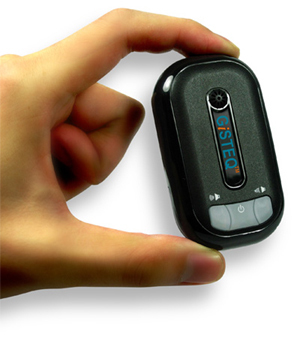 The Digital Picture Converter is available from Hammacher. This retro webcam may look old, but it packs in a good number of features which make it perfect for any computer users desk. 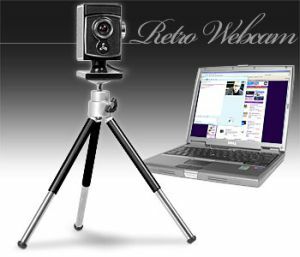 The retro webcam can fit on top of a flat screen, or a tripod and has a glass lens, hidden microphone built in and can record both video and still shots in 24 bit colour. 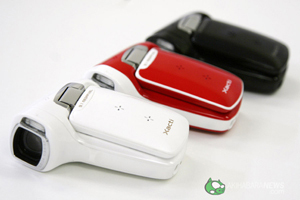 The focus of the camera is 5cm-infinity and resolution (VGA) of 640 x 480. 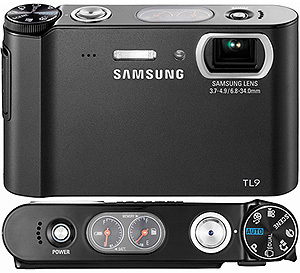 Exposure on the images is controlled automatically or manually. It connects to your USB port and is compatible with Windows 98, ME, 2000, XP or Vista. 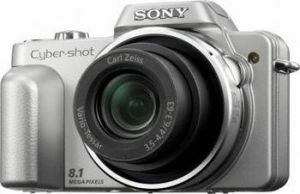 The DSC-H3 is Sony’s latest Cybershot camera to be made available. 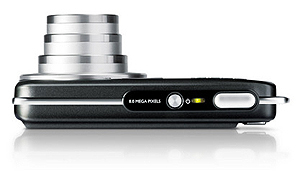 The camera has an ample 8.1 mega pixel CCD and a Carl Zeiss lens. What makes the lens interest me is that it is a 10x optical zoom lens. Having that much optical zoom is far better then digital zoom that is quite common in cameras.